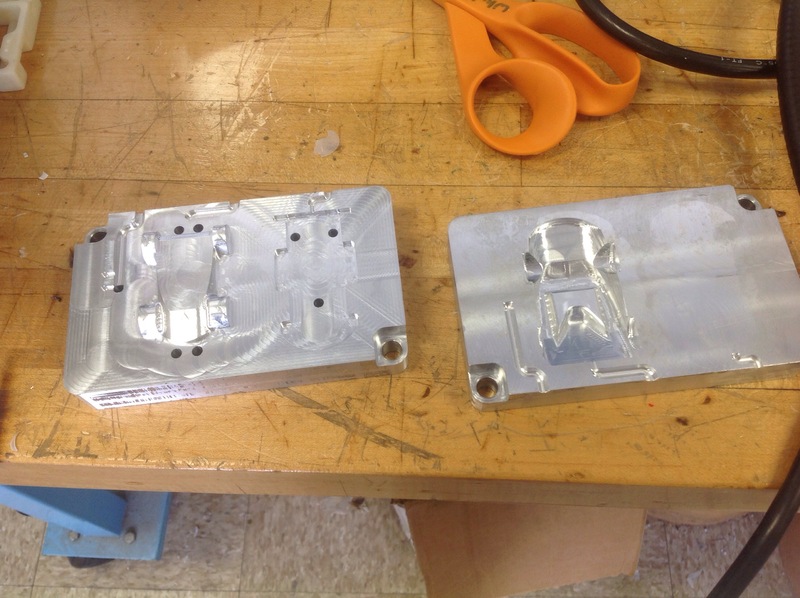 after we machined the two molds, we start our injection molding last week which should call the end of the project. 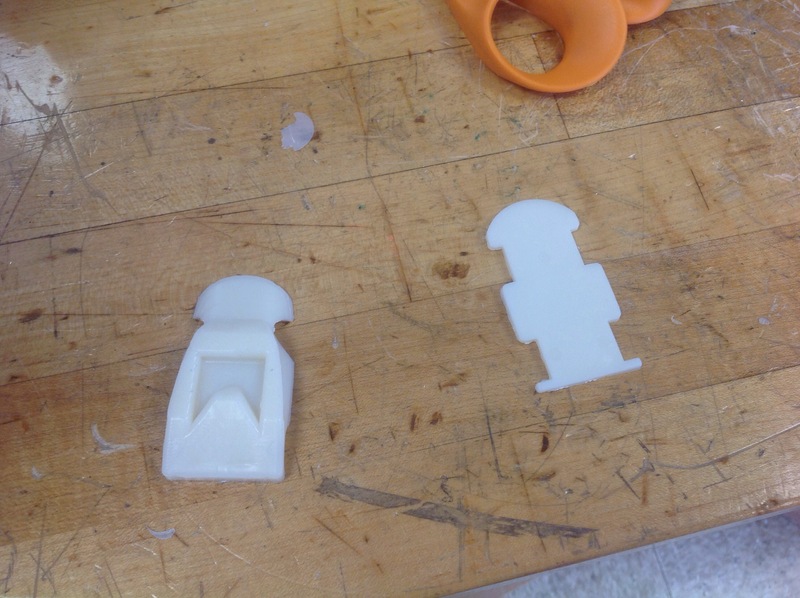 however, unfortunately, here is a big problem in our mold that our design bad that the molding failed. here is the picture of our failed product. so the problem is more than it stick to the female mold, the two molds are touching so there are some spot the material is not able to reach. so you can there is some empty spot in the middle. so we have to adjust our solidwork geometry and redo the toolpath on the NX. it sounds a lot works, but it is very simple since we know where our problem is already. 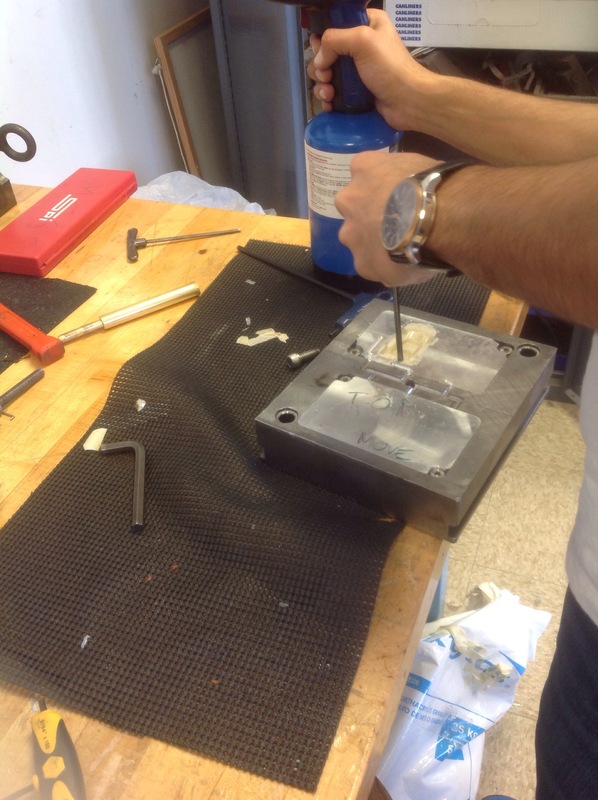 and we did the machining and injection molding today. it is very beautiful and nice. 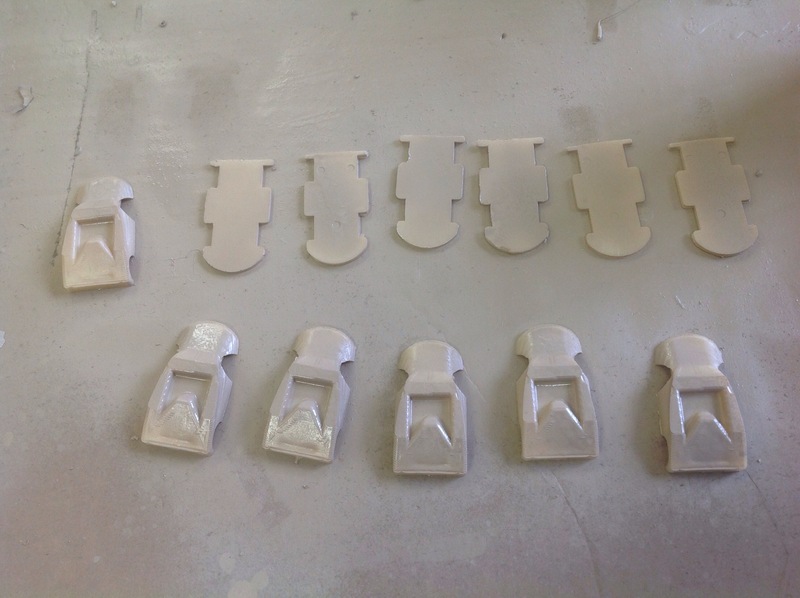 here we paint the cars and wait it to dry. with compare, the new car is just beautiful, and complete. 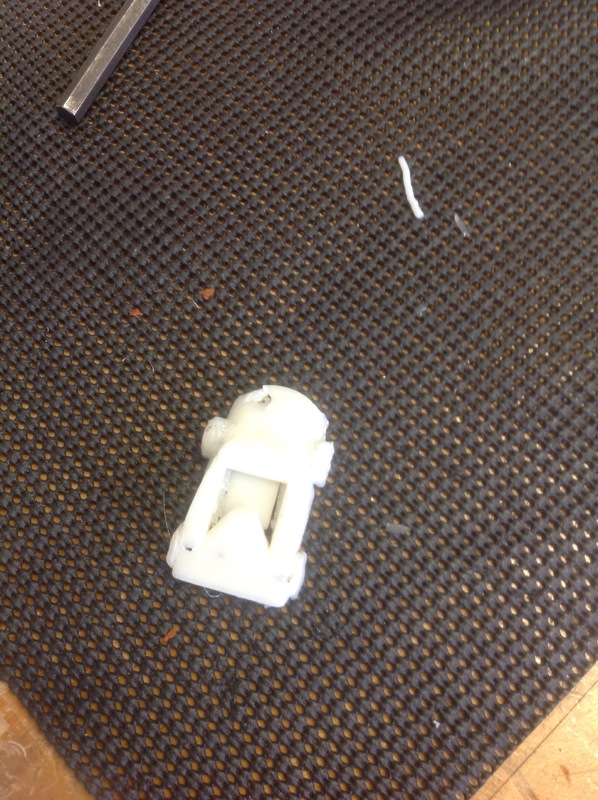 This entry was posted in Uncategorized and tagged Car project. Bookmark the permalink.